start with a hundred supercharged fans, add a couple of gallons of espresso, some hilarious new songs, and one certified acoustic goddess. what do you get? 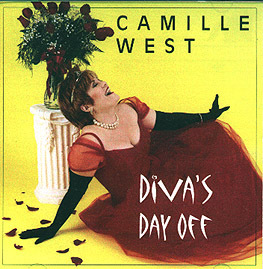 diva's day off, a live cd that captures the intensity, warmth and comedic magic that camille west brings to the stage. this new cd was digitally recorded on february 6, 1999 at the legendary caff� lena in saratoga springs, ny. 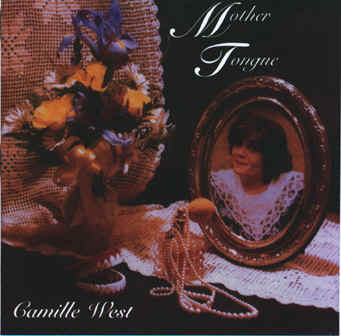 "a slew of musical styles, from folk balladry on the nervous wreck of edna fitzgerald to the dixieland jazz of candidate's wife's rag, map the depth of west's wit. this is the work of an amazing mind and a laugh a minute!"